The iconic shooter-looter gets in your face! 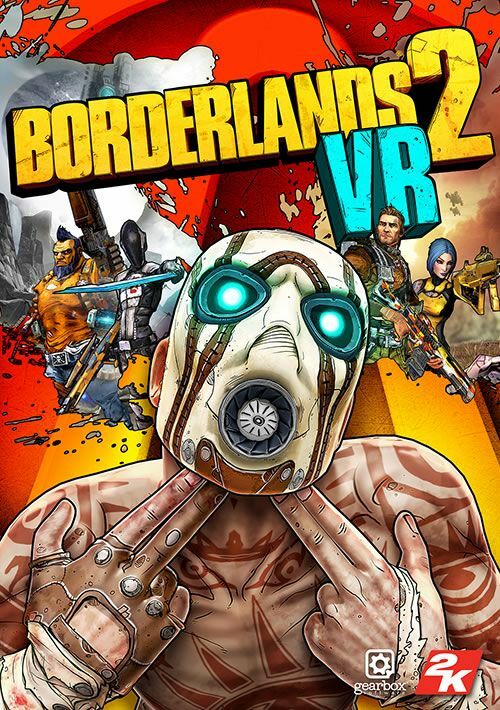 Borderlands 2 VR comes to PSVR on December 14! Virtually immerse yourself in the untamed world of Borderlands. Step into the boots of a treasure-seeking Vault Hunter armed with 87 bazillion guns on a quest to line your pockets with loot. Blast bandits with real-world aiming, punch psychos in the mouth, race across the desert in stolen bandit vehicles and free Pandora from Handsome Jack’s clutches! Become one of four playable classes: Siren, Commando, Gunzerker and Assassin, each with unique skillsets and combat styles! Shoot-and-loot with bazillions of procedurally-generated guns, each with their own capabilities and modifiers. Plus, lust after procedurally-generated shields, grenades, relics, class mods and more for maximum power and mayhem! Use the new Slow-Mo ability to set up your next attack! Plus, with Teleport, glide across Pandora as gracefully as Claptrap, if he had grace.